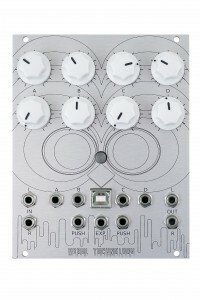 The OWL began life as a pedal but now also exists as the OWL Modular. The OWL is completely re-programmable and allows the user to write and upload their own code onto it. The platform can run C++, FAUST, Max MSP’s Gen or Pure Data, and can be used as an educational tool for students learning these languages, or researchers developing libraries and prototypes. 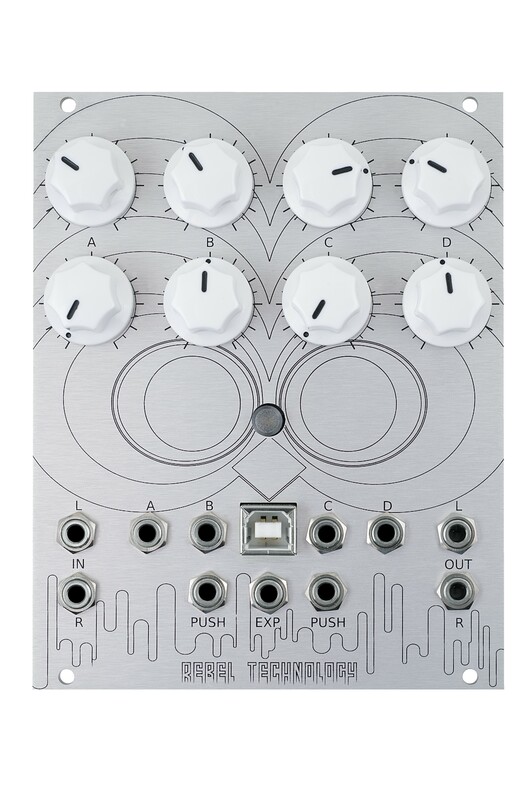 It provides a great introduction to hybrid modular electronics and how to understand analogue sound and electronics. Part of the usefulness of the OWL as an education tool is that it helps give musical goals and applications for what might seem abstract programming tasks to students, for instance, “build a delay pedal” or “build a drum machine”. This delay pedal or drum machine can then be detached from the computer, and used as an instrument in its own right. OWL patches can be developed, tested and loaded onto the OWL using only a browser and our online tools, without the need to install any software. Patches are written in C++, FAUST or Pure Data, uploaded to hoxtonowl.com, and our online compiler generates optimised machine code packaged as MIDI SysEx. Have a look at our tutorial for writing and running Pure Data patches o the OWL. The OWL toolchain is entirely open source, and can be used offline as well as online. We can provide training and workshops for both teachers and students on using and programming the OWL. 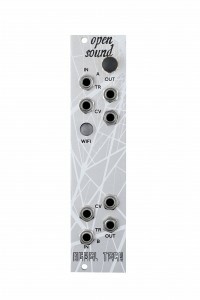 The Open Sound Module allows you to connect a modular system to a tablet (such as an iPad), a computer, another Open Sound Module (and hence another modular synth) or even the internet, all over WiFi. It uses the OSC (Open Sound Control) Protocol. The module has two Control Voltage inputs and two outputs, along with two trigger inputs and outputs, for bi-directional wireless communication.The module is a great tool for teaching User Interface Design: interfaces developed for tablets, touchscreens or computers can be used to control modular synth systems. 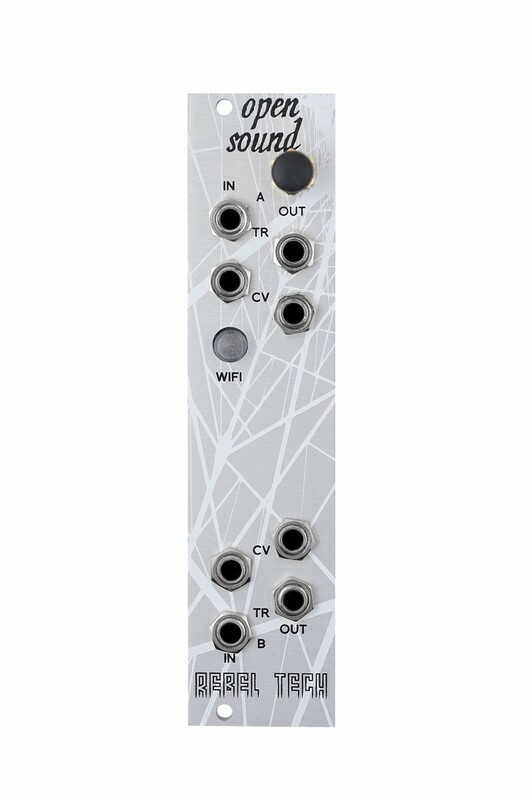 It can also be used as a research tool allowing for novel inputs to control a modular synthesiser. Through software such as Max MSP, biosignals, brainwaves or a whole range of alternative inputs such as light sensors or heat sensors can be sent as OSC over WIFI to control a modular synthesiser. We’ve made set-ups that allow commercial biosensors (the Myo) to play a modular set up using muscle movements. The Open Sound Module opens up a multitude of possibilities for collaborations with theatre, art, media and other disciplines. The OWL is also available as a DIY circuit board, and can be used in the teaching of electrical engineering, or for researchers and designers wishing to use the technology powering the OWL in novel ways or to develop new products. All our products are available at an educational discount. We are happy to come and demonstrate the range of Rebel Technology products, and run workshops on programming in C++ or Pure Data for the OWL; these can be tailored to the ability of the students. Read more about our range of educational workshops here. We believe our technology provides a great way for students to engage with the musical possibilities of programming, turning code into musical instruments, and inspiring the next generation of musical makers, as well as opening up multiple possibilities for researchers who want to to integrate new ideas and technologies with the power and possibilities of modular synthesis. For more information, contact adam@rebeltech.org and visit http://hoxtonowl.com to see some of the patches available for the OWL.